Even those lucky souls who were stylish and without awkward soon-to-be grown into characteristics in high school share the same fear with the rest of us schmucks: that someday real people will see what you thought was a slammin' yearbook photo look. 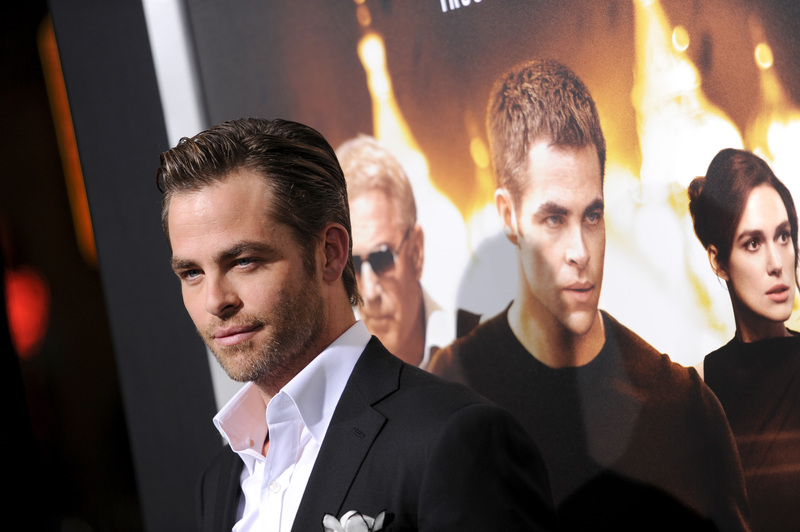 Actor Chris Pine (star of Jack Ryan: Shadow Recruit and Star Trek Into Darkness) stopped by Ellen and proved that even the most impossibly handsome folks among us do not want you flipping through their yearbooks. While sitting down with Ellen DeGeneres to talk about his new Tom Clancy-inspired film, Degeneres set out to prove that Pine resembles his father, CHiPs actor Robert Pine, and her method of proof was an unexpected — and long-lasting — look at Pine's formidable, fuzzy chin beard from his glory days (Pine with a regular beard, however, is a thing of beauty). And let's just say, he's probably not the only one who's glad he let that thing go. So what can we learn from all this adorable, embarrassing nonsense? How about the fact that no one, except for maybe Cameron Diaz by some stroke of magic, gets to escape the crushing, burning embarrassment of having the world see your high school year book picture. And for those that are still in high school, just think: even this ridiculously handsome actor was once an awkward teenager. Feel better now?